Well! Indeed history has been made this evening, what a night here in Luxor. 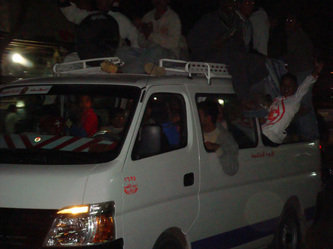 In the village of Gazira a bus passes by full of young men cheering and shouting, blasting the horn, all very happy with what has happened. 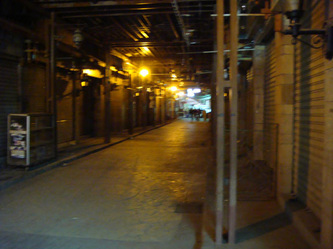 Sadly though, just look at the following pictures, have you ever seen the souk like this. It is without doubt, even worse than the summer period. 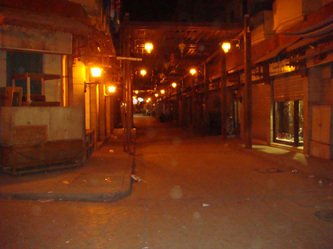 Looks like the early hours of the morning when it is closed. It is 8.30-pm. 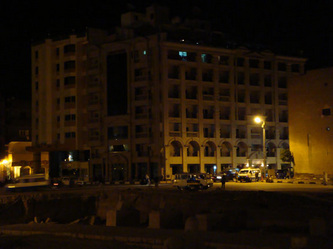 The Emilio Hotel (bottom right) is closed. I talk to the guys, they are sad, they think it will take a long time before the tourists come back, one guy was told five months. I try to cheer them up by saying it will not take long, that once everything is quiet and there are no protests, the airlines will once again commence flights, that it will all work out well for everyone, they are free, they can choose their own government and after a while, everyone will feel and be better off.